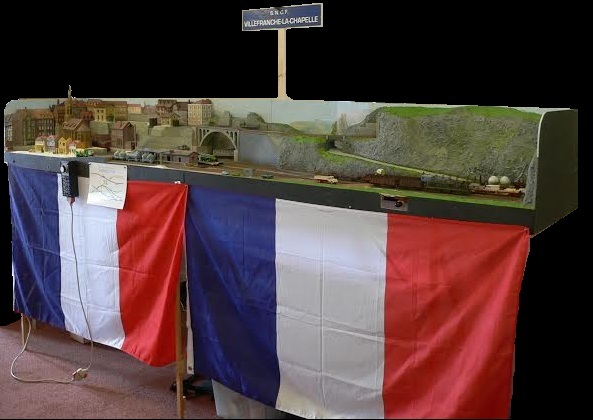 A small layout (10 ft by 2 ft) designed to show a shunting yard in a fictional French town in the 1990s, serving a few industries at the same time. There's also a higher level line in and out of a platform, to allow a DMU or suchlike to be run. 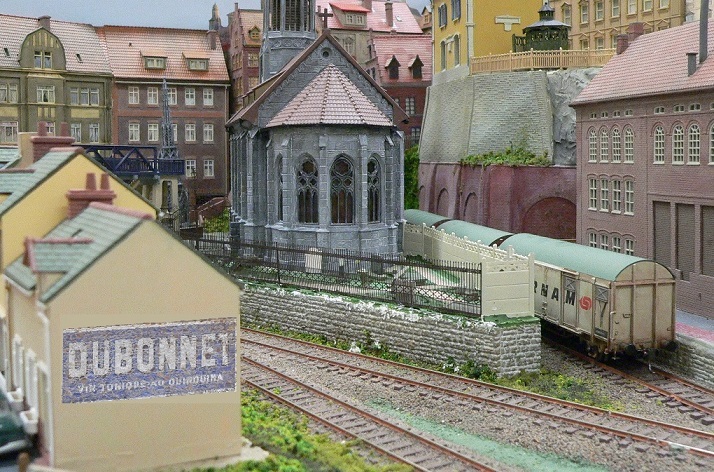 Villefranche-la-Chapelle is a small layout designed to show a shunting yard in a fictional French town in the 1990s, serving a few industries at the same time. The area to the right was possibly once a quarry, but is now used to handle local timber and stone traffic, while the sidings to the left serve the industries of the small town on the hill behind. There's also a higher level line in and out of a platform, to allow a DMU or two to be run. The idea was to create the atmosphere of a typical French small town and its still-active rail system, something that had disappeared from the British Rail scene in the 1960s, but which I had enjoyed seeing in France for many years afterwards. Photos by Tom Nicholls & Graham Broad. It's operated from the front, with a couple of hidden roads to swap trains over. With the addition of catenary in parts of the shunting yard, it's now possible to see AC or DC electric engines, as well as diesel power. 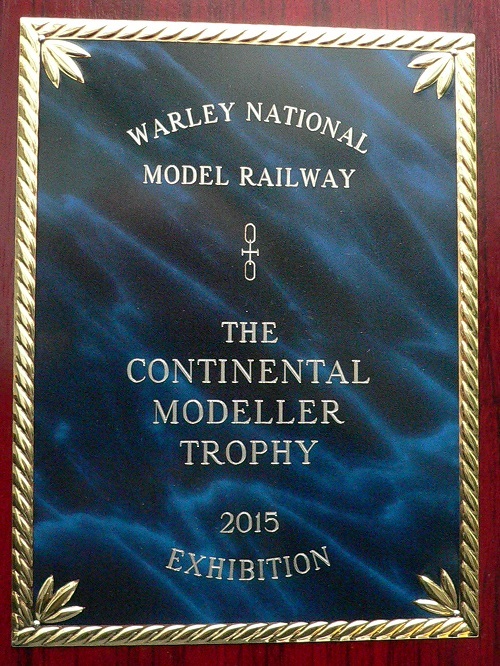 It was started as long ago as 2005, and has now been finished for a few years, with many visits to shows. 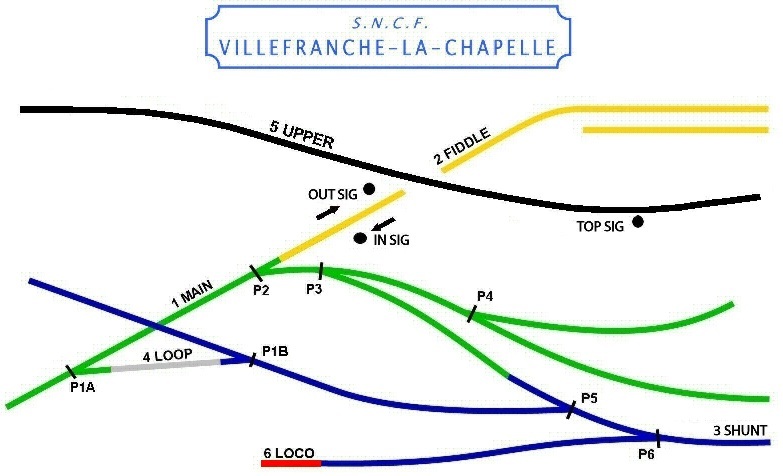 It's operated mostly from the front, with a couple of hidden roads to swap trains over.